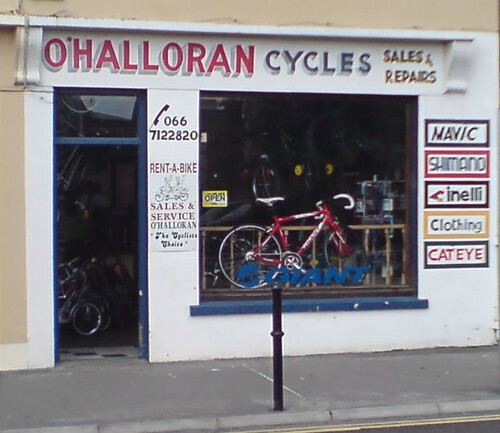 Always giving the priority to the ever essential Local Bike Shop we recommend O’Hallorans bike shop in Boherbee for your cycling needs. As regards bikes, people will notice a lot of Giant OCR/SCR racers in our numbers – quality bikes, few if any mechanicals ever and there’s one to match almost any pocket. See the link below for more. If you’re after a hard to find or trick bit of kit and Anthony can’t sort you out (unlikley but sometimes these things happen) here’s a few good online shops with big stock, free shipping (usually) and good prices to consider. There is a smorgesbord of online shops out there so only those used by club members and found to be good will be linked to here.